What does a shredded NFL wide receiver who’s 6″3, 220 lbs and my buddy who delivers pizzas with a beer gut who’s 6″3, 220 lbs have in common? Absolutely nothing, other than their height and weight on paper. This is why BMI and the scale should both be tossed in the trash for good. Their height/ weight may be the same, but those body composition numbers will be very, very different. I haven’t weighed myself in years, to be honest, as I prefer to rely on body-fat evaluations and the mirror. Determining body-fat can be determined using a few different methods. Circumference measurements, bioelectrical impedance, and skin calipers are the most commonly used. There are some more advanced methods such as underwater tank submerging and bod pods, but these can be very expensive and obviously take much more time to complete. Don’t get me wrong, checking weight does have its place from time to time, but my point is to not be reliant on it and understand the misconception it can cause. 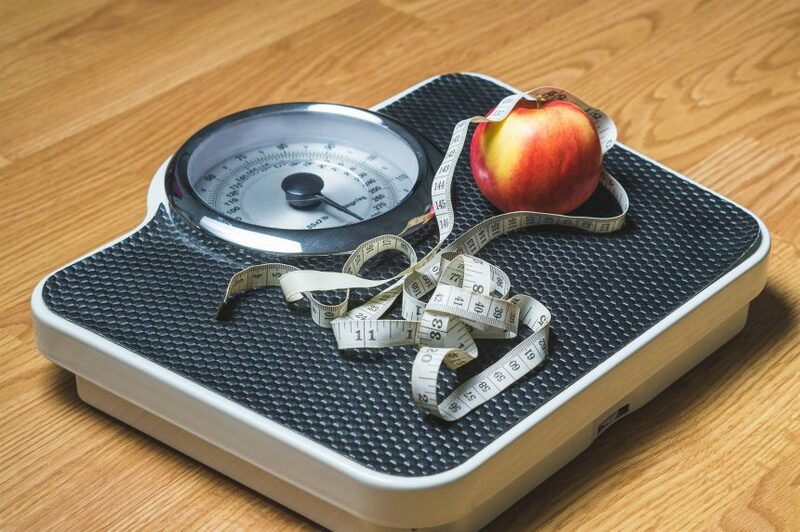 Our bodies can fluctuate up to 5 lbs in a given day and those obsessive, compulsive weight checkers can sabotage their mindset and their fitness routine. Here’s a quick tip, never check your weight more than once a week and check at the same exact time when you do ( ie: every Monday morning). Let’s all focus more on changing our body-composition! Our very popular Fat Shred Challenge was developed with this main concept in mind. We often hear the buzzwords “weight-loss challenge”, “muscle toning“, “take this supplement, fat burner” etc etc… Listen up! Losing weight doesn’t always mean healthy, toning is for printers not muscles, and there will never ever be a supplement that burns the fat off your body. At Versatile Fitness and within our monthly FSC program we teach the lifestyle habits and routines that enable your body to build lean muscle and decrease body fat. This is the true measure of someone getting healthier and stronger. We pride ourselves on being realistic and helping to develop one’s mindset so that they can continue to make the healthy choices but also enjoy life’s guilty pleasures. We preach consistency with a well-balanced nutrition plan, how to benefit with certain supplementation, and maximizing your fitness routine. When our nutrition, fitness and accountability forces collide it makes for some pretty special transformations. If you ever feel like you could use a little extra guidance or kick in the pants with your health goals, learn more here.